All of our New Hampshire and Maine locations offer a large variety of beer and wine. Find a full selection of cold beer, wine, mixed drinks, daiquiris, hard ciders, and spiked seltzers. Our Biddeford Maine location is a Maine Liquor Agency and features spirits, in addition to beer and wine. We guarantee you'll find the beer you love. We carry domestic and international brands, microbrews, and craft beers. 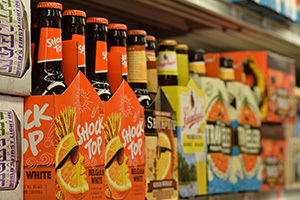 Our aisles feature beer from many local breweries so you can experience the taste of New England. Our selection includes wine from California, New York, France, Italy, Australia, Germany and many other countries. 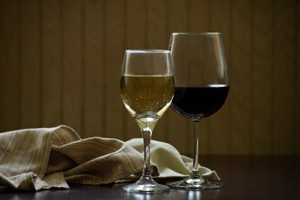 We also carry wine from local vineyards and mead wine – wines made from honey. Do not miss out on our wine coolers, boxed wine, or rosé in a can.